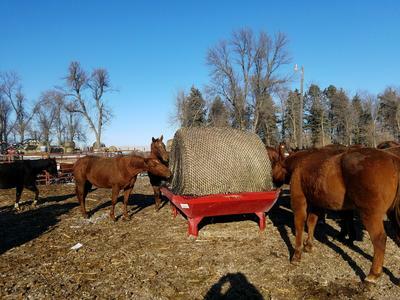 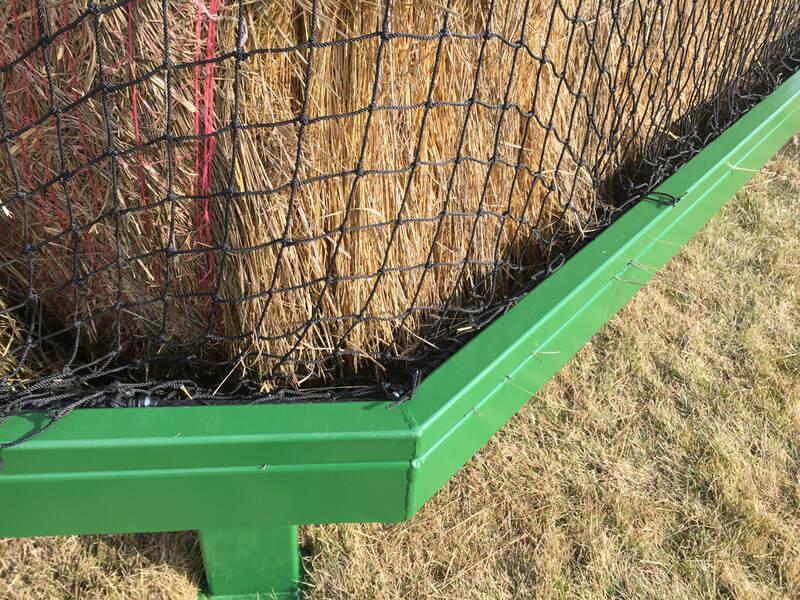 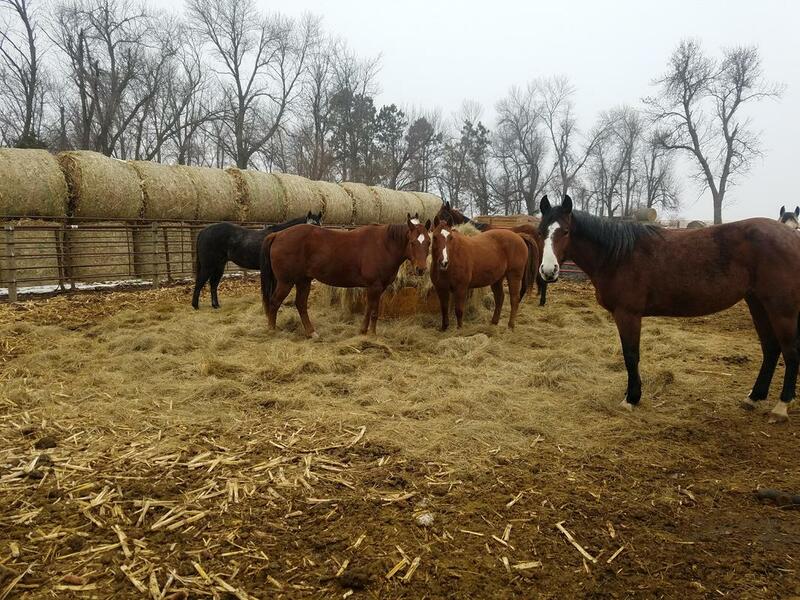 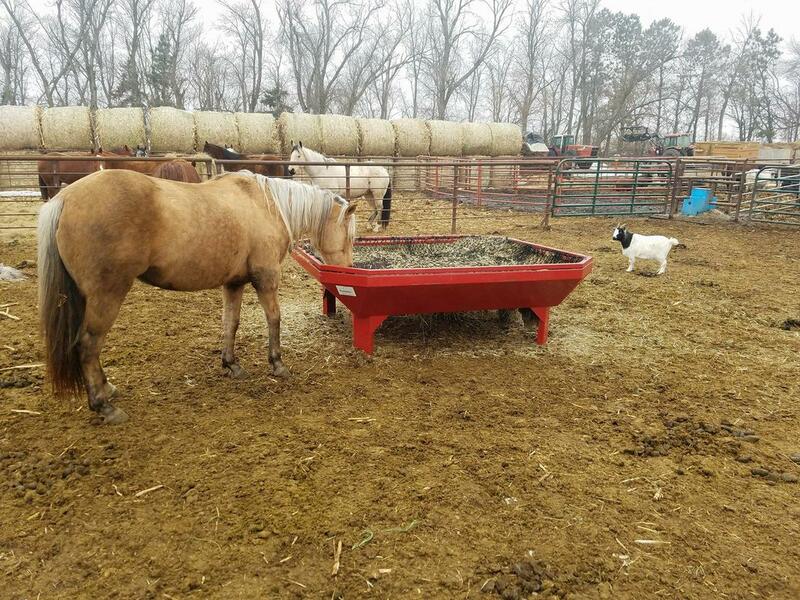 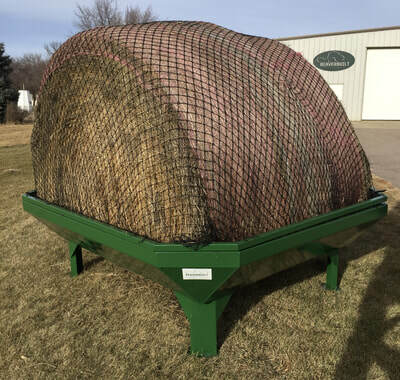 Our horse bale feeders eliminate bale waste! Horses slow feed through the durable netting, preventing them from throwing uneaten hay. 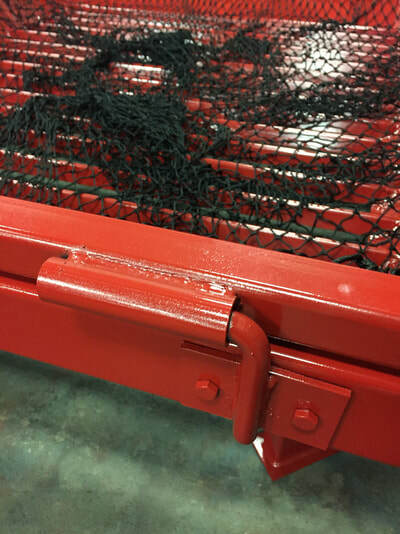 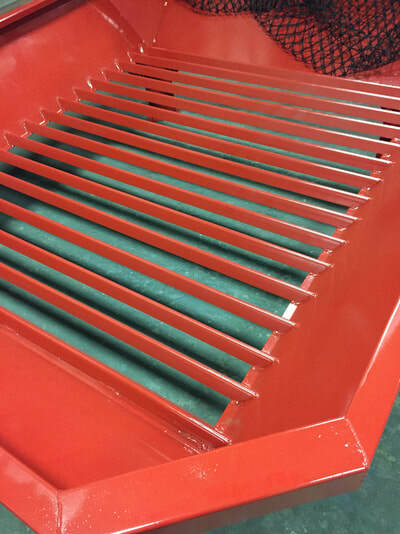 The feeder has a 5' x 6' grate base angling up to a 7' x 8' top frame with heavy duty hinge. Overall height is 31". 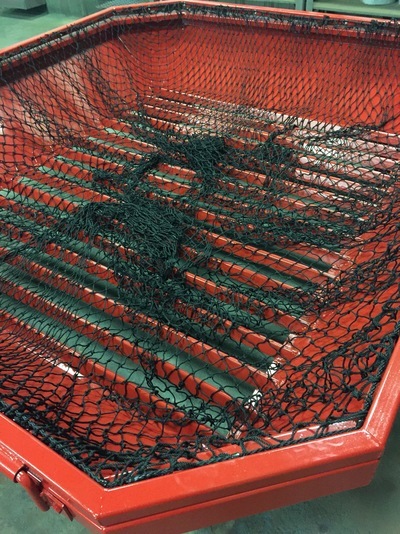 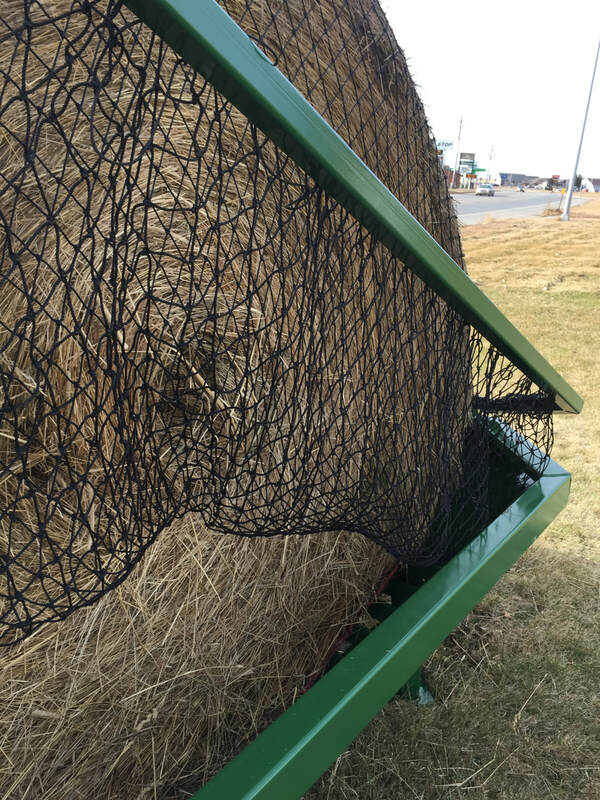 The bale netting is 100% US made Dupont type 66-728 knotted 3-strand UV treated/bonded nylon netting with a 1-3/4" diamond pattern that is 3.5mm with a breaking strength of 740 lbs. "The best hay feeder money can buy! Ridiculously easy to use, zero waste, healthy benifts include better digestion because of slower intake and less risk of your horses getting heaves."